The “Training material and programme for social and business entrepreneurial competence development by virtual learning methods for multinational and multicultural groups, and recognition and validation of the acquired competence” (Nr. 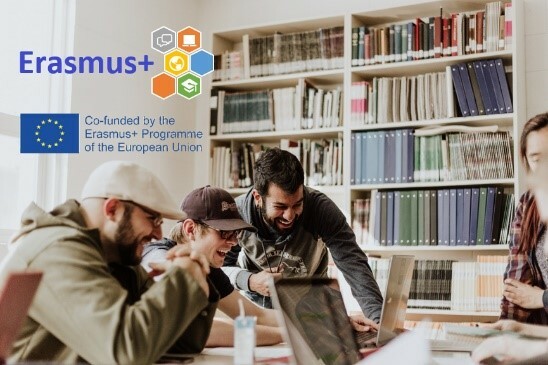 2017-1-LV01-KA204-035469) project is an Erasmus + programme funded by the European Union. The purpose and main result of which is to collect the experience and knowledge of social organizations and training centers in Latvia, Lithuania and Italy by developing a modern, easily adaptable training tool for each interested country, which would help to train migrants and refugees of different educational and social status by providing them with the basic knowledge on the principles of entrepreneurship, the local business environment and steps towards the development of their business, thereby also promoting their integration. Any foreigner living in Riga is welcome to apply till 21.04.2019 for the Pilot project. Acquisition of the program is planned for the period from April 23 to July 2019 (including mentoring), the program, which during is 40h envisages such topics as 1) finding a business idea, 2) creating a business plan, 3) choosing a business form, 4) positioning a business idea, 5) financial management, 6) a project. management, 7) business support options and 8) current taxes. The programme is designed so it could be learned in the online environment, including face-to-face meetings. Upon completion of each course, the participant will receive a certificate of completion of the relevant module. In turn, after completing the program, the participant will have an opportunity to receive the support of the mentor who will assist with the necessary consultations and provide the necessary support if the project participant has a business idea which he or she wants to realize. Project contact person: Marija Vilne, marija@bda.lv.